Innovation and risk are often believed to go hand-in-hand. But that doesn’t necessarily have to be the case. Some companies, like Apple, are known for their innovative culture. Yet Apple’s ability to keep new products quiet until they are fully developed and ready to be revealed is legendary. By taking certain precautions, it’s fully possible for a company to both cultivate a culture of innovation AND protect the unique ideas that arise as a result. One of the biggest challenges facing startups today is developing the right culture. A company’s culture determines every aspect of its business, from internal operations to customer service. To develop a culture of innovation, employees at every level and in every position must be encouraged to look for and suggest ways to improve the business. Then there needs to be a process in place for reviewing those suggestions and deciding which deserve further research and development. After ideas have been chosen for further development, they need to be implemented. Experimenting is one of the most important steps in this process—employees need to be encouraged to take risks and try new things. Innovation is about making changes for the better. Once ideas have been tested, they need to be evaluated for success or failure. This is the part of the process in which many companies fail—when an idea is not adopted, it’s essential that the employee(s) who suggested it not feel hesitant to suggest another idea in the future. The entire process must be ongoing. 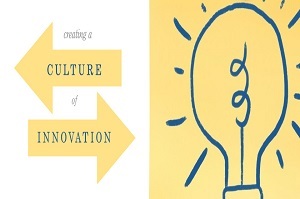 Only when it is happening every day, at every level of the company, has a business achieved a culture of innovation. Creating a culture of innovation is often held as the ultimate goal, because the new ideas that arise as a result help differentiate a company from its competition. However, innovation can only serve as a differentiator while it remains unique to a specific company—which requires having strategies in place for protection of your intellectual property. Consider last year’s Apple v. Samsung lawsuit. Apple was awarded $1 billion in damages after a jury decided Samsung had violated a number of Apple’s patents. Had Apple not taken the necessary steps to protect its creations, it might have seen a very different outcome. Ensuring that good ideas become patented or trademarked is essential to innovation protection. But it’s equally important that ideas are safeguarded up until the patent or trademark process is complete. A secure virtual data room (VDR) offers one way to share knowledge while simultaneously protecting it. Once an opportunity is identified and submitted, a VDR can be used to grant access to the person responsible for each step of the innovation process. The account administrator can utilize permission-based user roles to securely share those ideas internally with the people in charge of strategically reviewing them, who can then pass along the best ideas for experimentation to the relevant individuals. Results of experiments can be kept secure on the VDR. A decision can then be made about whether or not to rollout the idea on a larger scale. What steps is your company taking to promote innovation and to protect your ideas? Let us know in the comments.